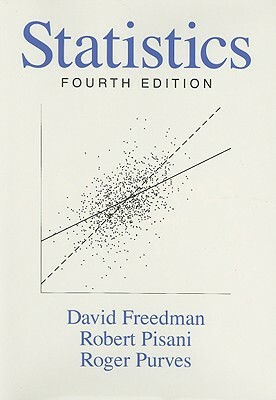 The ORC describes this course as follows: "An introduction to the basic concepts of statistics. Topics include elementary probability theory, descriptive statistics, the binomial and normal distributions, confidence intervals, basic concepts of tests of hypotheses, chi-square tests, nonparametric tests, normal theory t-tests, correlation, and simple regression." and develop mathematical/statistical communication skills. toward them. If you are ever unsure of why I am asking you to do something, please ask. We will cover roughly a chapter during each class meeting, so it will be crucial that students keep up with posted reading assignments. Practice poblems will be assigned to help students assess their progress and comprehension, but solutions will not be collected. Instead, work on these problem sets will be graded through weekly quizzes (see below). In addition to this self-monitored work, there will be two (graded) writing assignments. These will revolve around the use of statistics in the popular media. As the logistics of these assignments will be affected by the number of students enrolled in the class, more information will be available after the beginning of the term. A list of assignments/practice problems, a reading schedule and further information about articles assignments can be found here or on the course Blackboard site. There will be a quiz the first ten minutes of class each Friday (except during exam weeks). The quizzes will cover class/lecture material and discussions as well as the homework from the previous week. These quizzes are not designed to "stump" you, they are meant to keep everyone up to speed with the course. If you keep up with your reading, review your notes regularly and take the time to work out the assigned problems, you will have nothing to worry about. Note that quizzes take place at the beginning of class, I suggest being on time. Solutions to quizzes will be available here. We will plan to use the X-hour every week. Generally, we will use these sessions to go over homework, quiz or exam solutions, to answer general questions from class, and to do activities designed to help solidify the ideas covered during lectures. Materials relating to x-hours can be found here. There will be two midterm exams and a (cumulative) final exam. The dates and times for the midterms are tentative and subject to change. The date and time of the final exam are not. If you have a conflict with the time or date for either midterm exam, you must meet with me at least a week in advance to schedule a make-up time. Barring an emergency, you will not be given an opportunity to receive any credit for an exam if you fail to make prior arrangements. The registrar schedules our final exam time, so I can not make special arrangements. Exam review materials will be available here. Though I will be keeping track of your numeric scores throughout the term, I will not assign a letter grade to any assignment until after the final exam is graded. If you ever have a question about the grading policy, or about your standing in the course, please feel free to consult with me. On Homework: Since no written solutions will be graded, I don't expect we'll have any problem with this. Students are welcome and encouraged to work in groups to discuss general ideas and specific problems. Articles and write-ups: It will be the student's responsibility to verify that the article (s)he submits has not already been submitted by another student. Critiques of the articles should consist entirely of the author's own original thoughts and words. On Quizzes and Exams: All quizzes and exams will be closed book. This means that no help from any external source is allowed. Occasionally reference sheets may be provided, but this will be the only exception. If you have any questions as to whether some action would be acceptable under the Academic Honor Code, please speak to me, and I will be glad to help clarify things. This is a case in which it is definitely better to ask permission than forgiveness. Students with disabilities enrolled in this course and who may need disability-related classroom accommodations are encouraged to make an appointment to see me before the end of the second week of the term. All discussions will remain confidential, although the Student Accessibility Services office may be consulted to discuss appropriate implementation of any accommodation requested. Whether or not you have a disability, the Academic Skills Center is an excellent place to visit. Take some time to look at their videos and other resources. Would you benefit from some of the planning tools? Do you think you could improve your note-taking skills? Is stress eating your life? You're the only one who knows what might benefit you, and it doesn't hurt to look. I realize that some students may wish to take part in religious observances that fall during this academic term. Should you have a religious observance that conflicts with your participation in the course, please come speak with me before the end of the second week of the term to discuss appropriate accommodations.